It's been a long time coming, but the waiting has paid off! 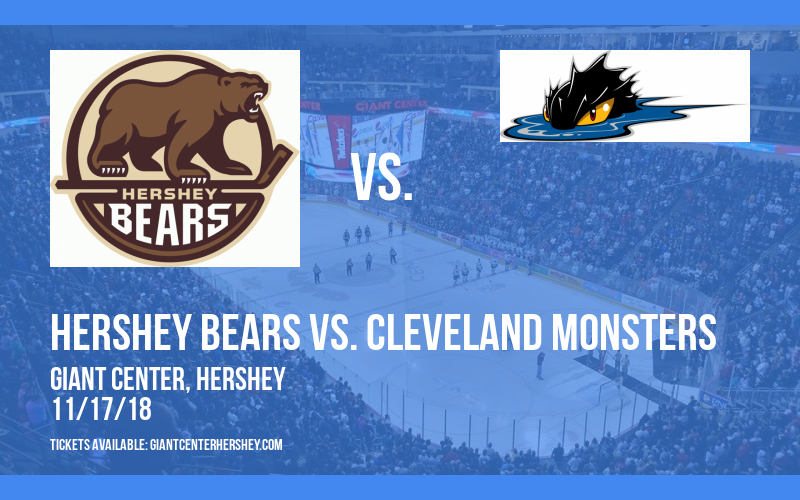 Get ready to witness Hershey Bears vs. Cleveland Monsters at the Giant Center on Saturday 17th November 2018!!! Tickets selling fast for this hugely in-demand show – early booking is recommended! Remember when booking tickets direct via this website there are no service fees or shipping charges! When it comes to sport and athletic events, no place does it better than the Giant Center. Held in high esteem nationwide as one of the very best locations for sports games in all of Pennsylvania, visitors come from all over Pennsylvania and beyond to attend matches in Hershey. Get ready to cheer your favorite team on in this massive state-of-the-art venue on Saturday 17th November 2018 – it’s going to be amazing!! What are you waiting for?? 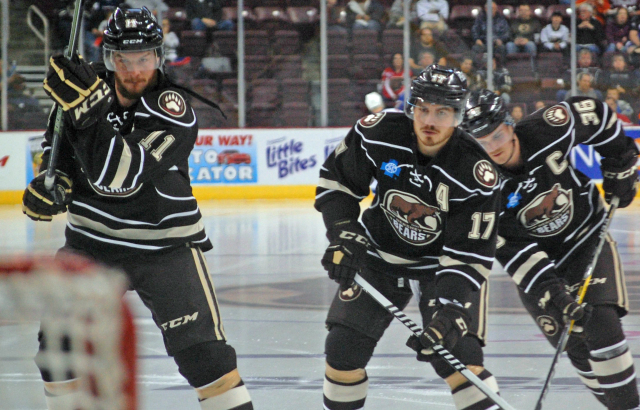 Get your tickets to see Hershey Bears vs. Cleveland Monsters while they last and make it a Saturday you’ll carry with you forever! !